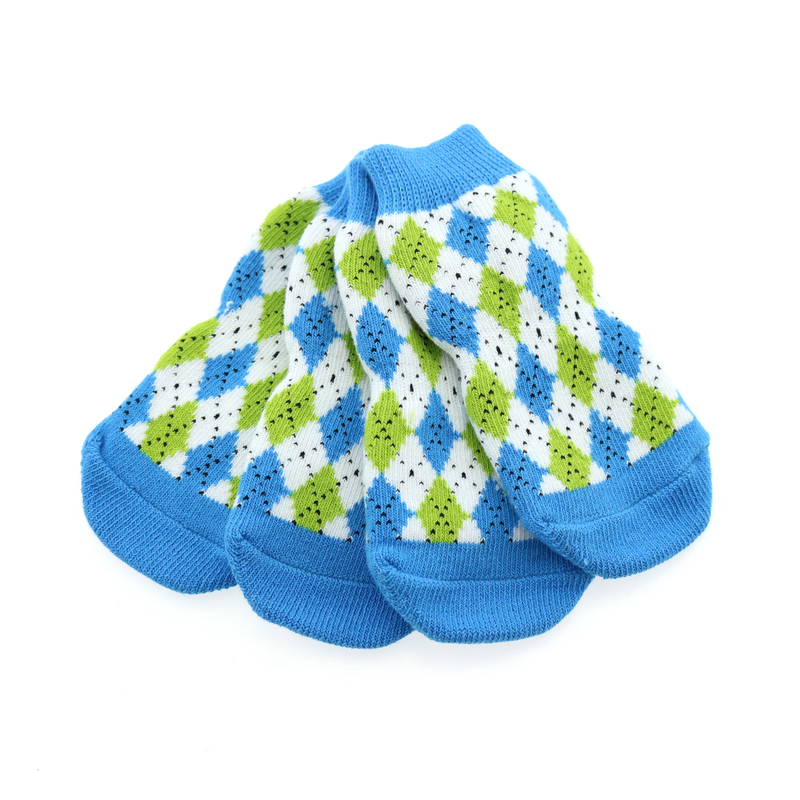 Protect your floors and your dog's paws with the colorful Non-Skid Dog Socks in Blue and Green Argyle! 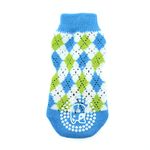 The Non-Skid Dog Socks have a fun and colorful design with the adorable Doggie Design logo on the paw for grip. Grips on slippery surfaces and protects your hardwood floors from nail scratches. 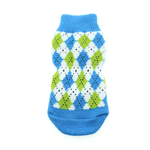 For dogs with foot injuries, allergies, and sensitive feet. Made with 100% cotton with some elastic in cuff. They are machine washable, but line dry to avoid shrinkage. X-Small: Width 1.34" Length 3"
Small: Width 2" Length 3.625"
Medium: Width 2.25" Length 4.75"
Large: Width 2.5" Length 5.5"
X-Large: Width 3.24" Length 6.5"
Tiny tread on the bottom. And boots tore through almost immediately, within two days. VERY disappointed! Your prices are very good and so are your sales. I recommend you to everyone I know who has pets and I will continue to use your site.